Welcome to A Sampling Bee! Today, I share with you Balls of Protein. 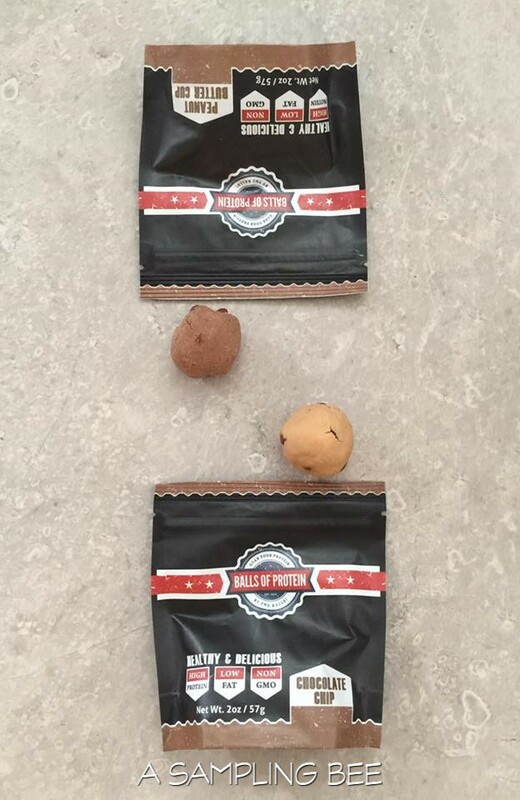 Sami, the founder of Balls of Protein, wanted to create an all-natural, healthy and raw high-protein snack. He focused on creating a snack that offers incredibly clean macro-nutrients. Ball of Protein do not contain any artificial sweeteners, genetically modified foods or food colorings. 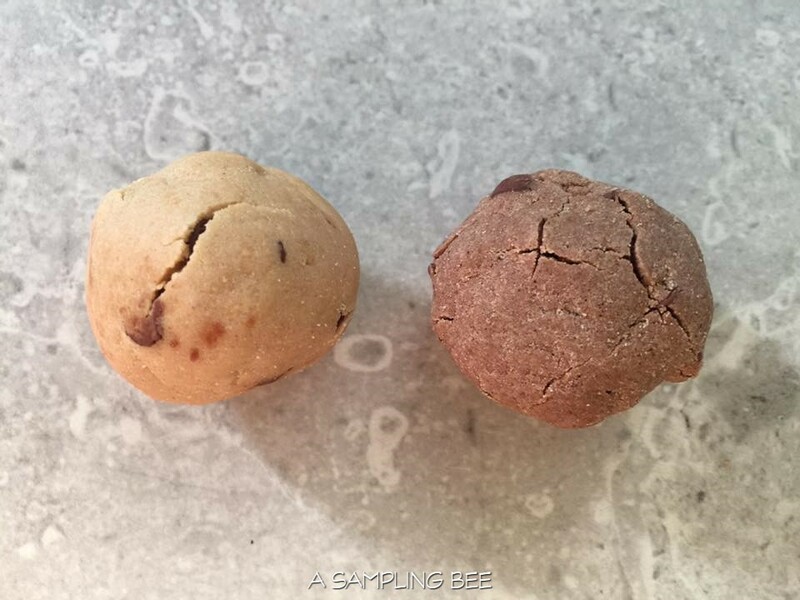 After several months of testing, Balls of Protein was born! The founder, Sami, uses only the finest ingredients when making his Balls of Protein. Chocolate Chip, Peanut Butter Cup, Sweet & Salty and Tropical Seed Mix. 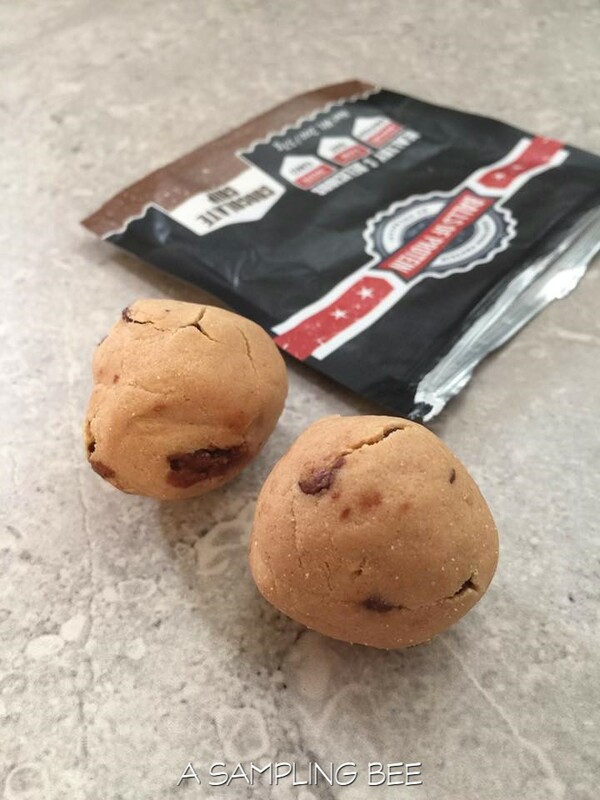 Balls of Protein are an affordable, healthy snack that is proudly made in the USA. I got to sample the Chocolate Chip flavor and the Peanut Butter Cup flavor. Chocolate Chip- Inspired by a famous cookie.. This protein ball tastes and smells just like a hot chocolate chip cookies. 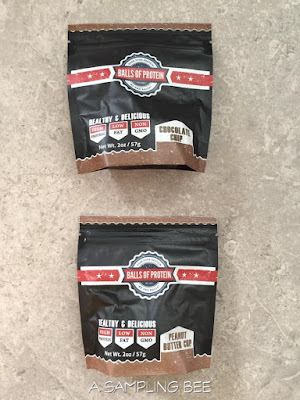 It contains semi-sweet morsels of chocolate and high quality protein powder. They're sweetened with an all-natural, high quality honey. Peanut Butter Cup- This flavor is bursting with delicious peanut butter and smooth chocolate. The Peanut Butter Cup flavor is for an peanut butter fan. Sweetened with only the best, all-natural honey. **Contains - Milk, Peanuts, Soy. Manufactured in a facility that also processes Egg, Wheat, Coconut, Tree Nuts. 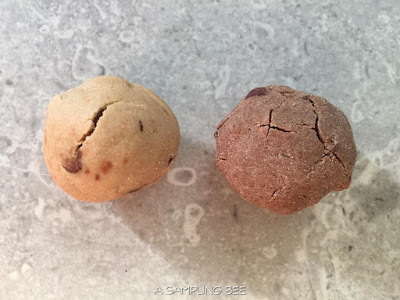 Each individual pack of Balls of Protein contain 2 protein balls. An individual pack of protein balls is 250 calories, contains 16-17 grams of sugar and 19 grams of protein. I enjoy eating Balls of Protein. They're a healthy snack that can be eaten any time or on-the-go. I like both of the flavors that I got to try. 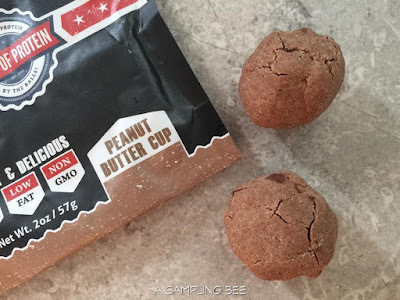 The protein balls are loaded with flavor and I can really taste the protein in them. They're moist and not too sweet. They are about the size of a ping pong ball. Very filling and satisfies my sweet tooth. This is the perfect snack for after a workout or for after a good hike. I recommend Balls of Protein. They are a yummy, healthy snack! My kids love them, I love them and my husband loves them! I can't wait to try the other two flavors. I received Balls of Protein in exchange for my honest review. All opinions are my own. Always! Visit https://www.ballsofprotein.com/ for more information and to purchase. $27.99 for 10 packets.